Curl definition is something that many naturalistas and curlies desire, but sometimes it comes with a cost. In the name of #curlsonfleek, our hair can become dry and brittle to the touch, because of holding ingredients like polymers and certain polyquats present in our styling products. But thanks to the increasing demand for more natural products, brands are taking note and delivering gels and curl definers that are botanically-based. Botanical gels are those who's lists are fairly easy to decipher, and are made overwhelmingly with ingredients you recognize and can pronounce. They are often full of oils, herbal extracts, and humectants (like aloe and agave) that not only help keep the hair from drying out, but that have conditioning benefits as well. If you follow the Max Hydration Method, swear by Lorraine Massey's Curly Girl Handbook, or just are an avid fan of more natural than synthetic hair products, then this list is for you! If you're tired of gels that dry out the hair and instead want a one-two combination of moisture and definition, look no further than these bottles and jars of botanical bliss. They have minimal to no crunch, don't contain harsh preservatives, and are often pH balanced to help step your cuticle closing game up (leading to increased shine and moisture retention). Because many of them contain botanical extracts like marshmallow root, you can count on tons of slip and easy product application. One of my absolute favorite curl definers of 2014, TreLuxe's Hi! Definition Curl Enhancer Styling Gel is formulated aloe, seaweed, avocado, and honey, among other natural oils and extracts. It is a powerful styler, and a little bit goes a very long way. One of the standout components of Hi! Definition is their one-of-a-kind Active Botanicals 360 Curl Complex with tomato fruit extract. Want to know what that means, and more about how Hi! Definition performs? Click here to read the review! Camille Rose Naturals hit it big this year when they released a new formulation of their popular Curl Maker gel. Naturalistas everywhere (myself included) were over the moon with the new formula, and how much it delivered on its promises of no more flaking and more definition and shine. The new Curl Maker is absolutely amazing, and provides frizz-free definition while moisturizing the hair with coconut oil, aloe vera, castor oil, marshmallow, and agave. Want to know how the new formula is different from the old one? Watch this video. 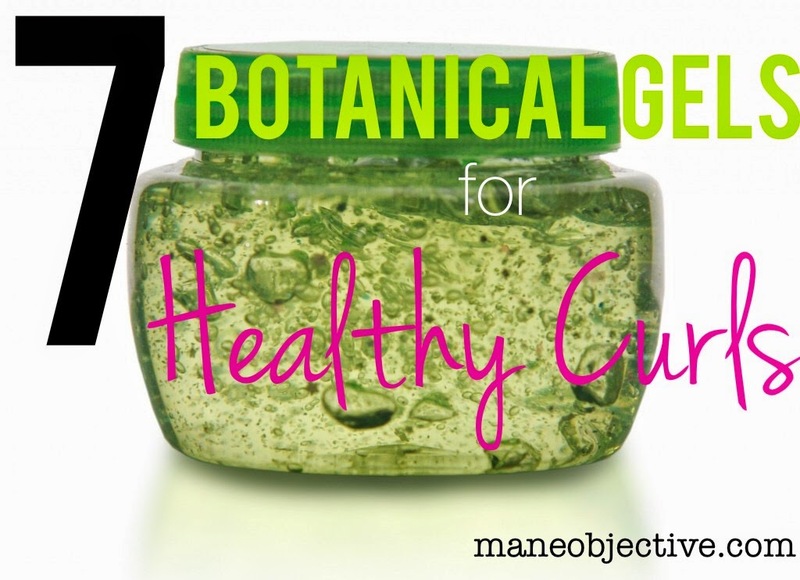 Ready to see the full list of botanical gels? Click here to head over to NaturallyCurly.com and see the rest!